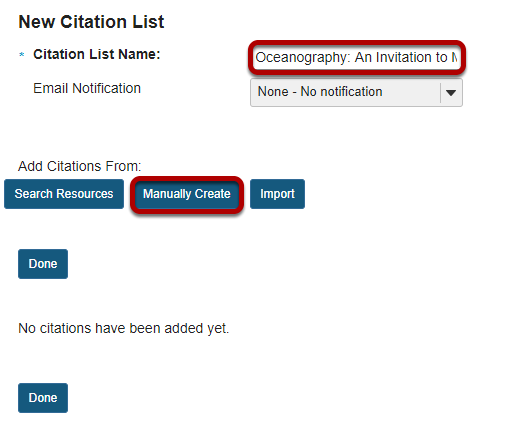 Sakai Community DocumentationSakai 19 User Guide (English) ResourcesHow do I create a citation list? 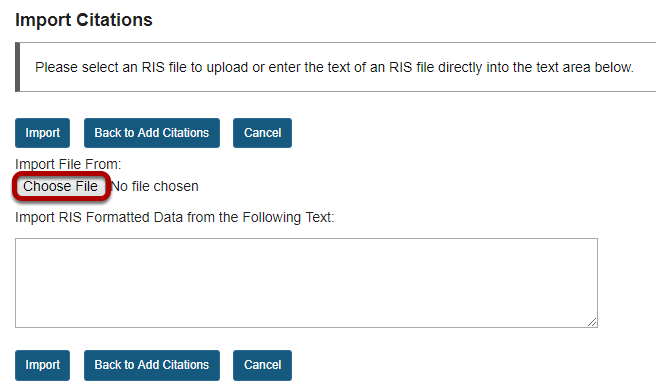 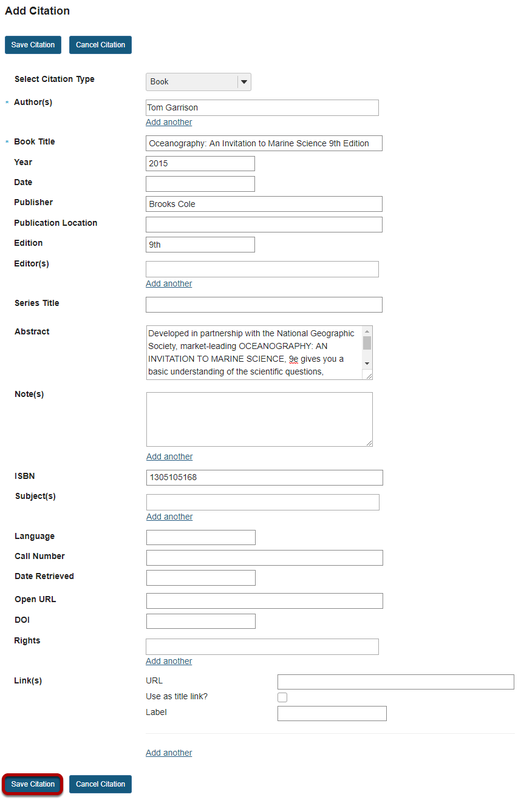 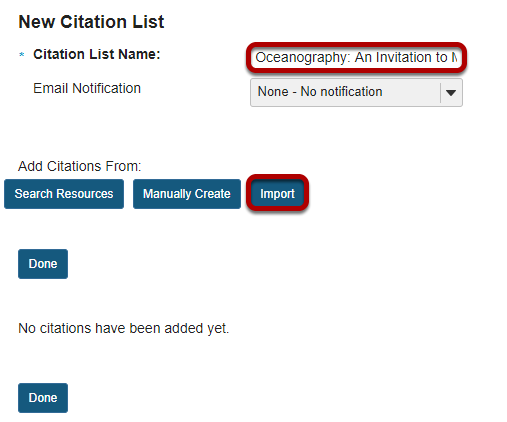 To the right of the folder you want to import the RIS citation list, from the Actions drop-down menu, select Create Citation List. 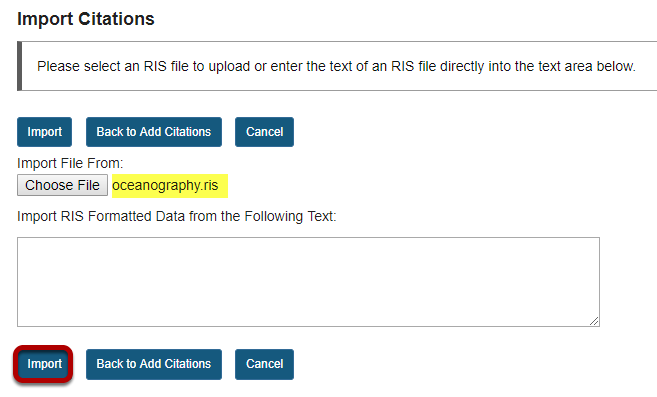 Note: The selected .ris filename will appear next to the Choose File button. 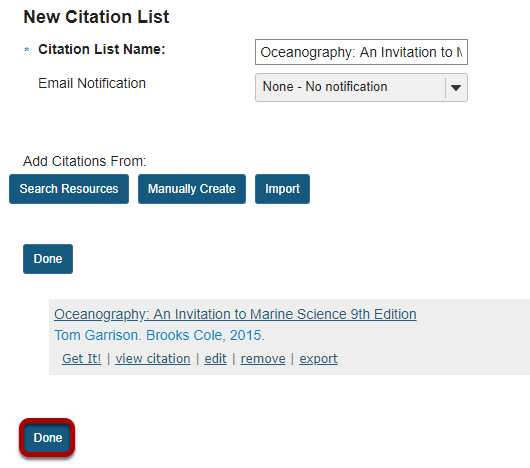 Zoom: Enter citation information, then Save.